Second Sundays TankerTime, 5pm to midnight, May through September. FREE. Enjoy the main deck of PortSide's historic ship, the tanker MARY A. WHALEN. Bring dinner, drinks, a book... Lounge in a hammock, read books from our maritime library. Stretch out in a lounge chair, immerse yourself in the maritime ambiance of our location. At 9 pm, the musicians jam of Mediterranean music starts and runs until midnight. Get a sense of the vibe here. This August Second Sundays TankerTime will be blessed, for the second year in a row, by participants from the Balkan music camp in the Catskills that ends that weekend. We expect 5-10 of their musicians. You can hear some of them in the videos of this blogpost. In addition, we will introduce the soft-launch of a WaterStories Quiz game show, another production by the inventive empresario Nicolas Anderson. Prizes courtesy of Wet Whistle Wines and Brooklyn Ice House. Students from the 5th and 6th grade in Red Hook schools are invited to participate in PortSide's 1st annual African American Maritime History Challenge. Schools can field teams of 3-5 students. Schools pick the teams. Students will make a short oral presentation with any presentation aides they see fit such as a poster, digital slideshow/Powerpoint. PortSide is launching an African American Maritime Heritage program to grow awareness of this important and generally overlooked part of American history. The History Challenge will be one of our first events, and we hope it will grow neighborhood-wide Red Hook spirit while educating youth. During the TankerTours, the main deck will be open for TankerTime for people to picnic, relax, read books from our maritime library, children can play with the maritime toys for tots and the ArtTable drawing supplies. After the TankerTours, TankerTime will continue for people to picnic (BYOB and food), relax, read books from our maritime library, play with the maritime toys for tots, use coloring books at the ArtTable. 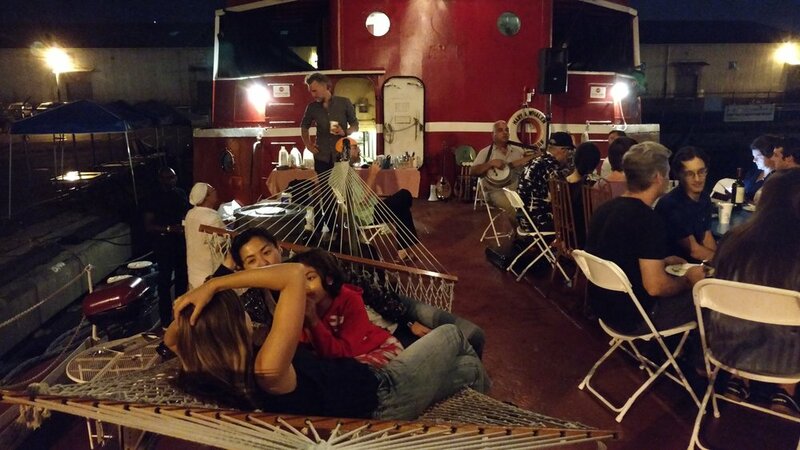 Come socialize or just chill out in a hammock and enjoy the sunset. NOTE: one Fleet Week Navy destroyer will be open to the public at the Brooklyn Cruise Terminal during the day. Come see two ships! Red Hook is the Plymouth Rock for Puerto Ricans arriving in New York City, starting in the late 1800's and running well into the 1900s, because the ships docked here. NYC's first Puerto Rican community was here, before Spanish Harlem, and Puerto Ricans remain a significant part of the Red Hook community. The ships dccked in and near Atlantic Basin, where PortSide's ship, the tanker MARY A. WHALEN is today. On Friday evening May 25, PortSide invites the community back to where it all began to share their WaterStories heritage. There will be live music by BombaYo, storytelling, potluck food and more. This event is evolving as the word gets out. Get in touch if you have ideas, have a story to share, or want to be involved. Part of the “MARY Month of May” festival in honor of the 80th birthday or our ship MARY A. WHALEN. On social media and in person at the Red Hook Public Library, join the conversation about Red Hook history. We will be asking questions to Red Hook nostalgia groups on Facebook, asking questions in the library, and sharing between the digital and physical conversations. 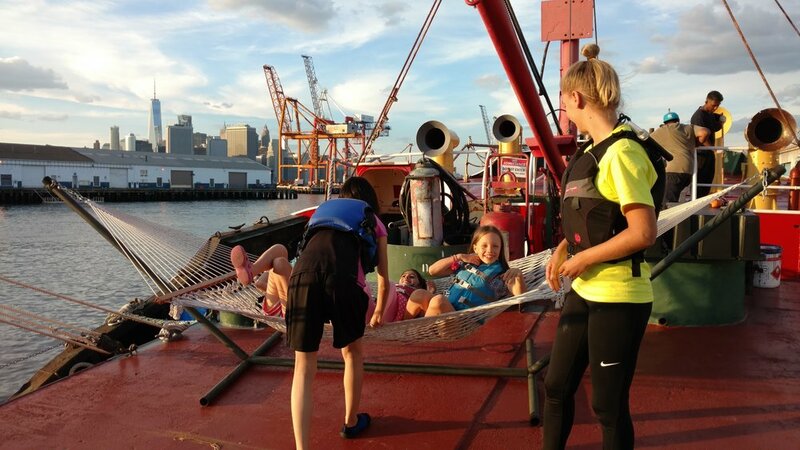 Come tell your stories, and your family stories, of living, working or playing in and around the waters of Red Hook. Hung out on the Long Pier? Swam at Edison Beach? Worked at Todd's or Busheys? Fishing? Hurricane Sandy? Any neighborhood story that has a water element we want to know. Don't have a story? Come follow along, ask questions, enjoy the anecdotes with the PortSide team working on our digital museum Red Hook WaterStories. Part of the “MARY Month of May” festival in honor of the 80th birthday or our ship MARY A. WHALEN.